As engine operating conditions grow more severe, so do the demands placed on your motor oil. New engine hardware such as turbochargers, direct injection and variable valve timing (VVT) place increased stress on your engine oil. You may find yourself asking, why do we need new engine hardware? What’s wrong with the tried-and-true equipment that has worked for years? Well, automakers need every fuel economy gain under the sun they can get to meet tightening fuel-economy standards. And these new technologies help them get there. The current corporate average fuel economy (CAFE) standard requires a fleet-wide average of 54.5 mpg by 2025 in the United States, a five percent annual improvement. These requirements have spurred the automotive industry to turn to the hardware mentioned above to build smaller, more fuel-efficient engines. In fact, by 2020, industry experts predict that almost every new vehicle will feature direct-injection technology (GDI). The vast majority will also be turbocharged (TGDI). The biggest motor-oil-related challenge on the horizon is LSPI, also known as severe engine knock. 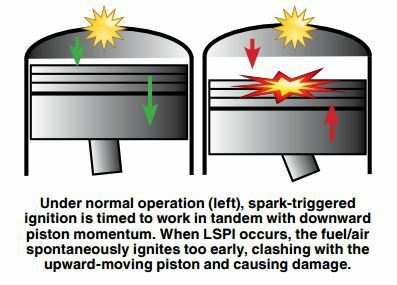 LSPI can destroy pistons and connecting rods. LSPI is the spontaneous ignition of the fuel/air mixture before spark-triggered ignition. It is another version of pre-ignition. Pre-ignition (engine knock) has been around since the beginning of internal combustion engines. LSPI, however, occurs under low-speed, high-torque conditions in TGDI engines, such as when taking off from a stoplight. This scenario can create conditions where the fuel/air ignites too early in the combustion cycle, throwing off the engine’s timing. The expanding combustion charge collides with the piston as it’s moving up the cylinder, potentially destroying the pistons or connecting rods. Experts suggest the cause is due in part to oil/fuel droplets or deposits in the cylinder auto-igniting randomly. The droplets and deposits contain enough heat to ignite the air/fuel mixture before the spark-triggered ignition. This means oil formulation can play a role in reducing LSPI. 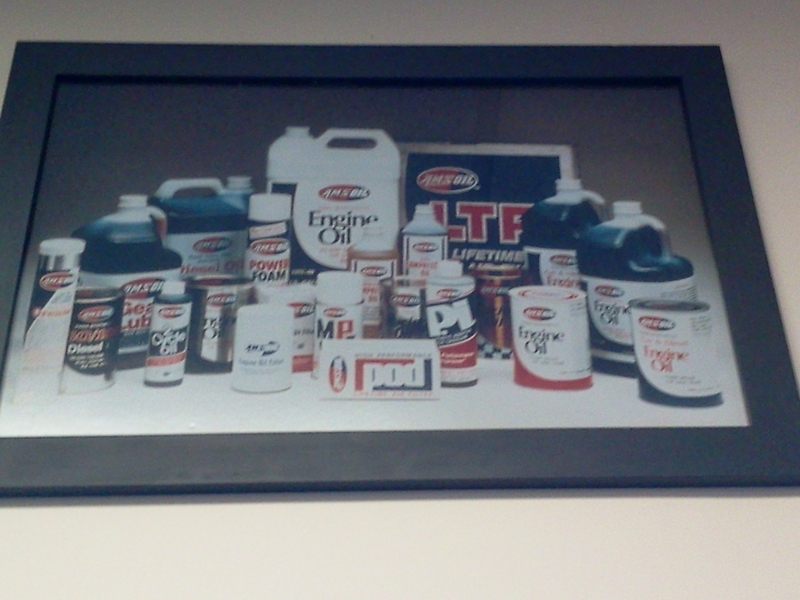 Testing has shown that certain motor oil ingredients can promote LSPI, while others can help reduce it. It’s tempting to think, “Well, dump a bunch of ingredients into your formulations that help reduce LSPI!” But some ingredients that help reduce LSPI have been limited over the years in motor oil formulations for other reasons. It truly is a scientific balancing act confronting us oil formulators. It’s no easy task to formulate motor oils that deliver excellent wear protection, resist the increased heat of turbocharged engines, prevent deposits, act as a hydraulic fluid and, now, combat LSPI. The performance of the entire formulation – not just one or two ingredients – is what counts. 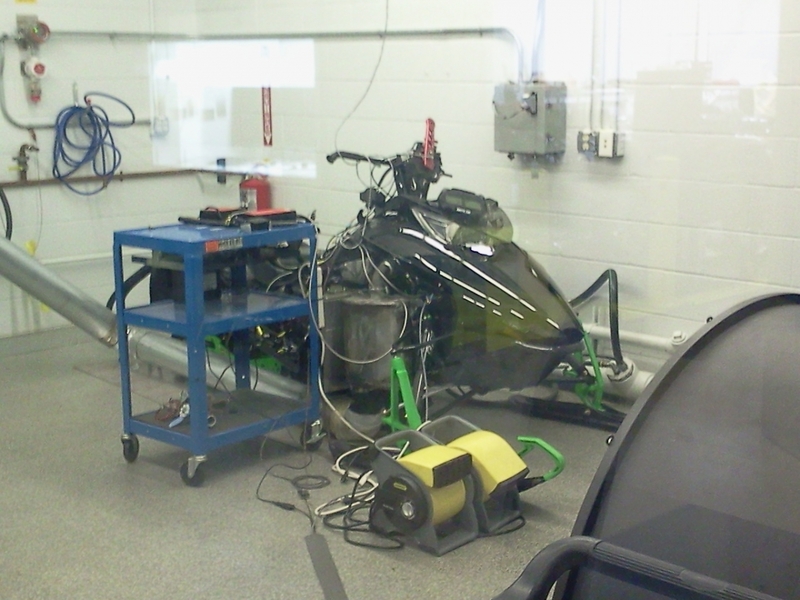 Difficult or not, next-generation motor oils will need to fight LSPI. In fact, they’ll need to pass an LSPI test to meet the new API SP and ILSAC GF-6 performance specifications set to take effect in mid-2019. 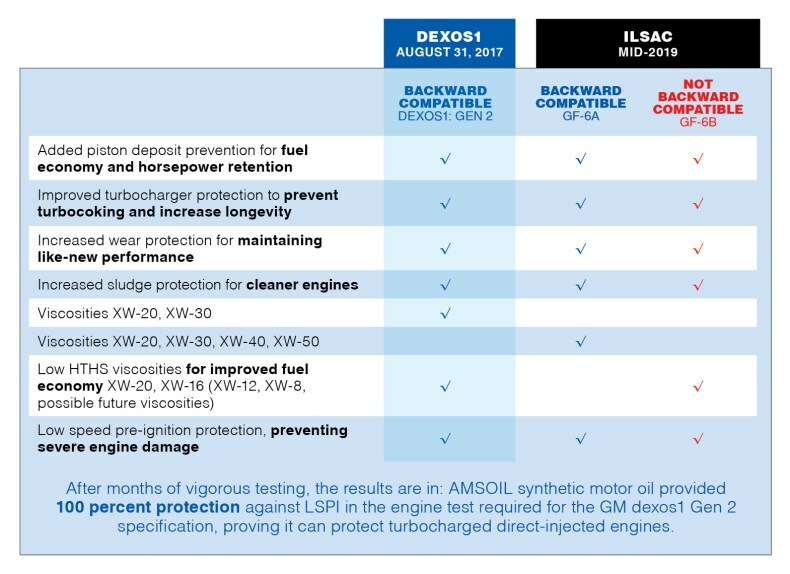 General Motors is ahead of the game and requires oils to pass its own LSPI test. Its updated GM dexos1 specification (known as dexos1 Gen 2) is scheduled to take effect Aug. 31, 2017. The table explains the specs in a little more detail. 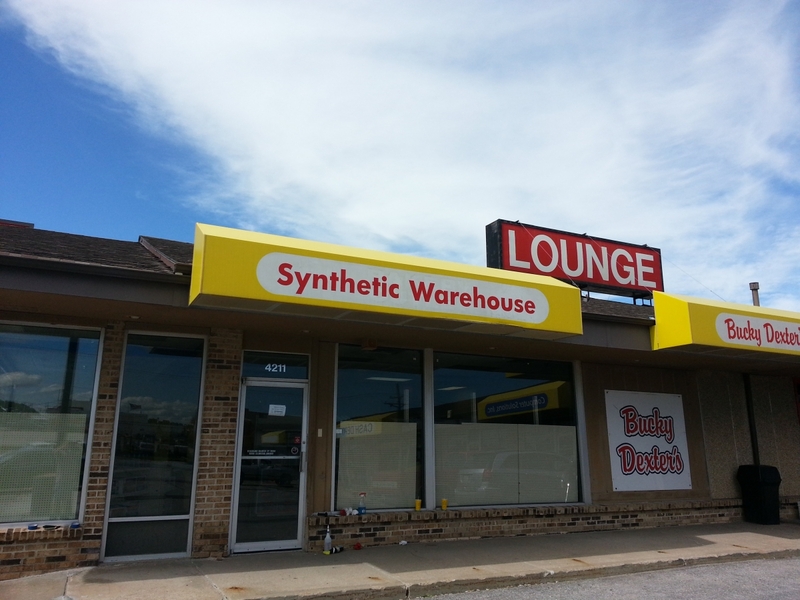 We’ve been hard at work reformulating Signature Series Synthetic Motor Oil, XL Synthetic Motor Oil and OE Synthetic Motor Oil to address LSPI. The early signs are exciting. 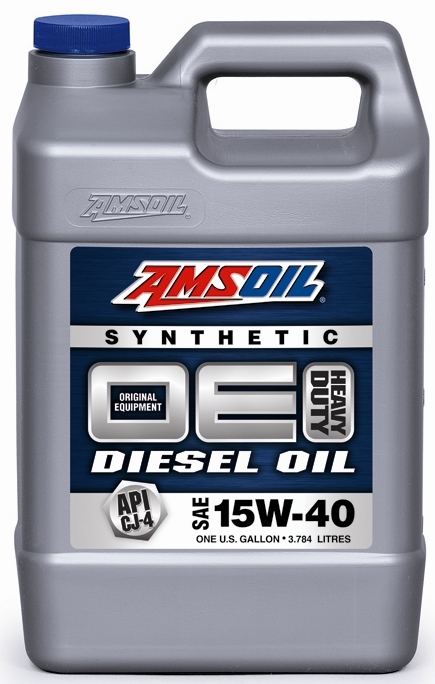 Experimental formulations of AMSOIL synthetic motor oils provided 100 percent protection against LSPI in turbocharged direct-injected engines. * Expect to see them hit the market in the months ahead. Check out this page to learn more about LSPI. *Based on the engine test required for GM dexos1 Gen2 specification.